PLOT: The life of painter Vincent van Gogh, and in particular, the circumstances of his death, told through the investigations of family friend Armand Roulin. 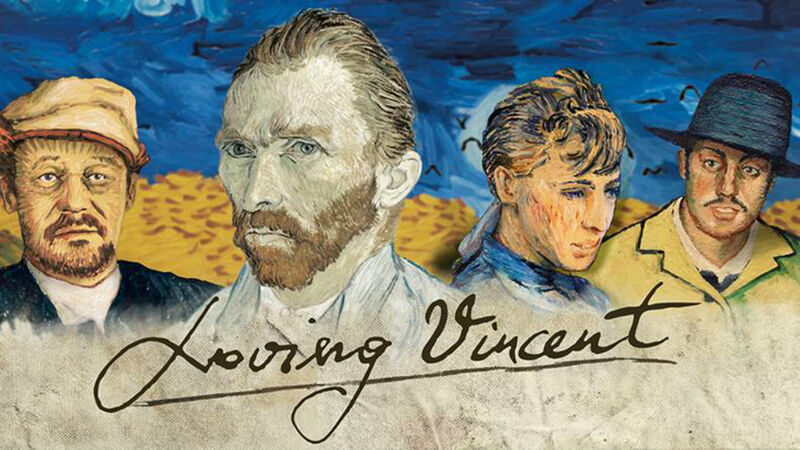 Billed as the first ever fully hand-painted movie, it took 115 classically trained artists six years to oil paint 65,000 frames of animation in the unmistakable style of Vincent Van Gogh. Partially crowd-funded and also crowd-recruited (6,000 artists applied to be part of the film after seeing a recruitment video on Kickstarter), the film is the work of British animator Hugh Welchman and his artist wife Dorota Kobiela. Rather than a standard biography the film is based one year after the artist’s death. Chris O’Dowd plays a postman and friend who asks his son Armand (played by Douglas Booth) to deliver a letter from Vincent to his brother Theo. Initially not a fan of Van Gogh the person, through his varied interactions with the people who knew Vincent, Armand becomes embroiled in the suspicious surroundings of the apparent suicide. What follows is a Miss Marple style investigation, uncovering conspiracies and cover-ups through the use of flash-backs. The painted animation is absolutely stunning in places and the black and white memories in particular are quite beautiful. But due to the rotoscoping (the actors were filmed and then in a kind of reverse tracing process the filmed frames are projected onto canvas and painted over), the acting elements just looks like motion capture and feel far too real. This proves an odd juxtaposition against the wonderful backgrounds and exceptional truly animated sequences, dragging you out of the lavish beauty of the brush strokes. 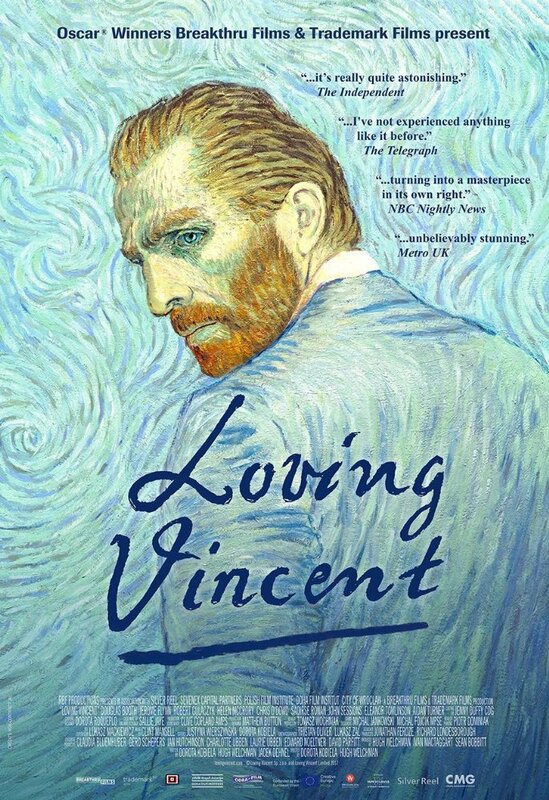 It is a pity because it is an intriguing story and whilst it may be a little short on emotion, it holds the attention and gives a new perspective on Van Gogh through the eyes of others. We have already been blessed with a number of high quality biopics of Vincent Van Gogh (such as the excellent Lust For Life from Vincente Minnelli) and another is on its way starring Willem Defoe in the title role. Loving Vincent’s focus on his death allows it to stand out and certainly deserves its place amongst what has come before, but I can’t help but feel the medium turned out to be a little more of a gimmick than it really needed to be. Loving Vincent’s focus on the painter’s death allows it to stand out and certainly deserves its place amongst the biopics that have come before, but I can’t help but feel the medium turned out to be a little more of a gimmick than it really needed to be.